Two chapters in Scott Hahn’s Understanding Our Father focus on the part of the Our Father that says “Lead us not into temptation.” The passage from 1st Corinthians is what Hahn calls Saint Paul’s four steps that explain “how temptation works to a Christian advantage.” It starts with acknowledging our humility and understanding that we can endure the temptations we face. God will help us, even when Satan attacks, and “He is always willing to share His own omnipotence, so that we can endure even the most severe trials without sinning. ” Most importantly, we grow in strength against temptation through the sacrament of the Eucharist." Through the trials we endure in this desert period, God refines us and we learn how strong we actually are through Christ. 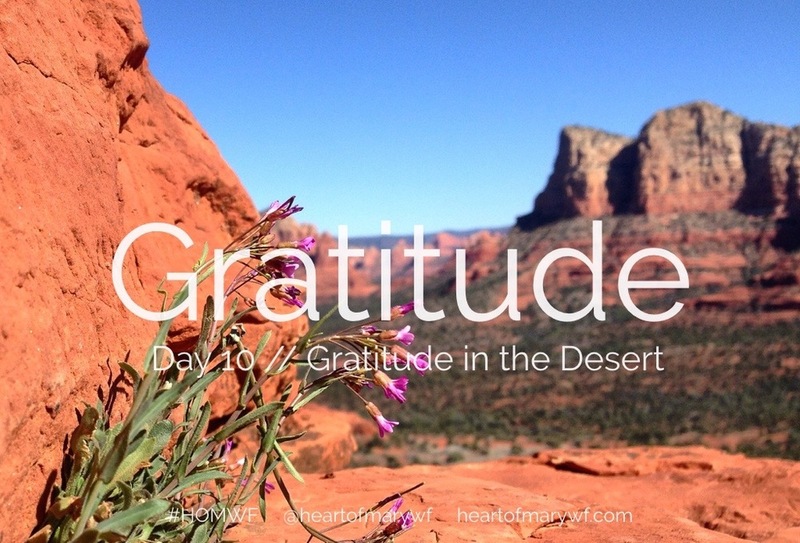 It’s through gratitude that you learn how to dance in the desert. In honor of St. Therese, today’s featured song is Matt Maher’s “Everything is Grace,” which was inspired by the Little Flower. 1.Do you think it’s harder for you to handle spiritual trials or spiritual dryness? What are some ways that you think you can handle them? 2.Were there times that you didn’t want to be near God, but still wanted “the desire for the desire?” How did you find your way back to Him? 3.Have your perspectives on the Our Father and St. Therese changed? If so, how?